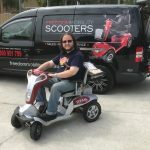 Freedom Mobility Scooters are an amazing company to deal with. Sales are open and honest with reliable information to help with an important decision. 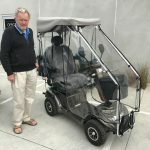 My husband purchased his scooter here and had a few problems but Martin went to enormous lengths to resolve the problem. The after sales service is fantastic. I purchased from another company and when I went to contact them for a new tube they had closed and I found they were only able to send it from Queensland. I found myself stranded and Freedom Mobility Scooters stepped up to help me. They do not discriminate and service and/or repair both scooters when needed. If I could give six stars out of five for service I would. Thank you. Highly recommended for quality, knowledge and service. Thank you Martin and Derek for your patience and great service. I really appreciate what you did for me. By the way I love the white.Happy Australia Day! 🇦🇨 My dog Zach loves the scooter. Hi Martin, G’day. My name is John. 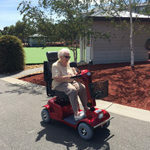 I am an old age pensioner and live in Wonthaggi. 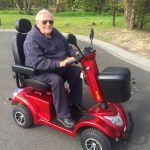 After doing a lot of homework and research on mobility scooters along with enquiries, I managed to contact Martin at Freedom Mobility Scooters in Ringwood. It turned out he had a fantastic deal for me and the new scooter was located in Ringwood, but he had a dealership in Wonthaggi owned by Phil & Viv who could handle the deal, along with the finance/service – the whole kit and caboodle along with delivery (free) to my door even with the next day being a public holiday! It only took one day for them to make it happen along with delivery. Let me say, I have never dealt with people so obliging and easy going to get along with. One very happy customer! Thank you – Martin, Phil and Viv. Truly down to earth people! Thanks Martin, You have restored my Independence. Thanks very much for all your help. 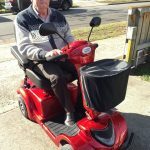 I liked the service and Mobility Scooter so much, I recommended my neighbour also get one. 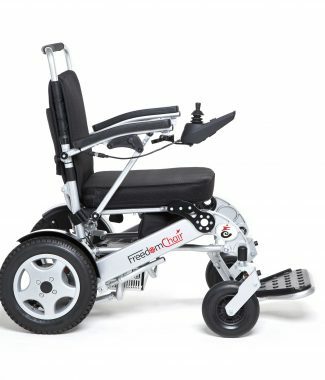 Freedom A08 Premium Folding Power Chair is a portable, transportable, foldable, heavy duty power electric wheel chair. It is designed for for indoor and outdoor use. For a no obligation, FREE demonstration call us on 1300 951 799. 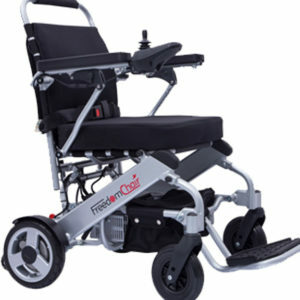 Freedom DE08 Premium Lite Folding Power Chair is a portable, transportable, foldable, heavy duty power electric wheel chair, which separates into two pieces for ease of transportation and lifting. For a no obligation, FREE demonstration call us on 1300 951 799. 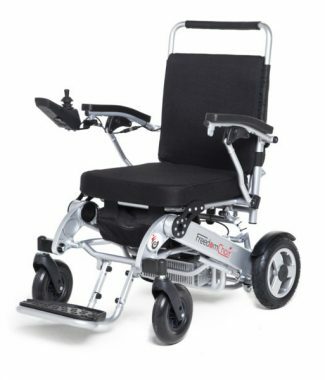 Freedom DE08L Premium Lite Sport Folding Power Chair is a portable, transportable, foldable, heavy duty power electric wheel chair, which separates into two pieces for ease of transportation and lifting. For a no obligation, FREE demonstration call us on 1300 951 799. 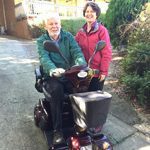 Our Freedom Lunar Power Chair is a portable, transportable, collapsible, lightweight compact electric wheel chair and is perfect for indoor use. 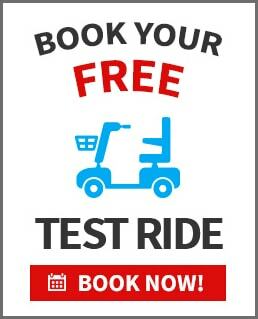 For a no obligation, FREE demonstration call us on 03 9095 8434, or 1300 951 799. 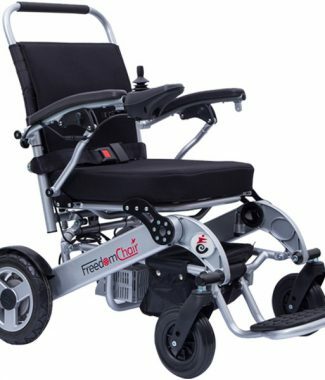 The Freedom Lunar Power Chair, is designed and perfect for indoor use, or for use within shopping centres. 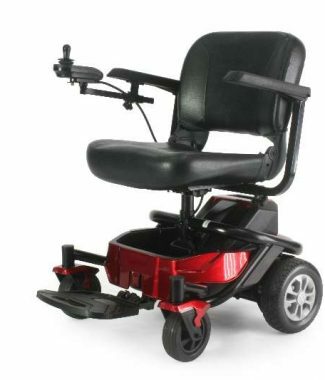 The Freedom Lunar Power Chair is designed for people with limited mobility. It is fully transportable and will easily fit into most car boots. 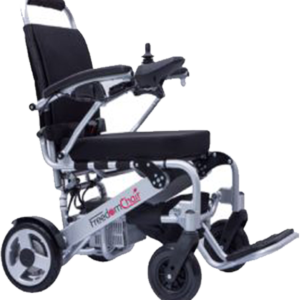 The Freedom Lunar Power Chair is also great for travelling interstate, or overseas. The controls and functions are easy to use. the joystick can be placed on the left or right armrests with ease. The speed is fully adjustable and there is even a horn in case you need to warn someone that you are going past. 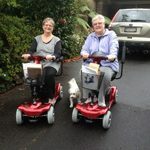 The battery can be charged while fitted to the power chair, or alternatively the battery can be charged while it is removed. To find out more, or to arrange a personal home demonstration in Victoria through our head office, or to find your nearest dealer, please call us on 1300 951 799, or visit us at 2/ 15 Molan Street, Ringwood.